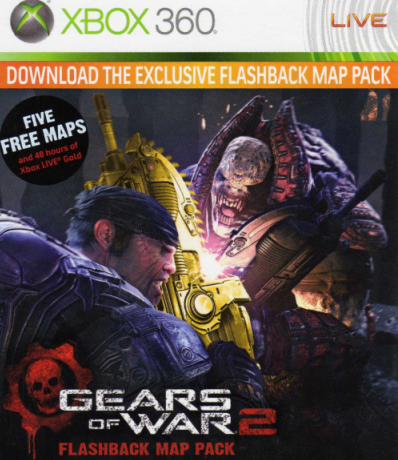 When Gears of War 2 launched, the pre-order hungry gamers got a few extra multiplayer maps for free. The maps were then released on the Xbox Live Marketplace for 400 MSPoints. The map pack included five maps for an astonishingly reasonable price. Some people hated the idea that they were just “remake” maps, but Epic recognized that and made the maps essentially $1 each. The remade levels from Gears of War 1 multiplayer in this map pack are: Gridlock, Subway, Canals, Mansion, and Tyro Station. Maybe you didn’t pre-order your game, maybe you bought the game used, and maybe you just have no intention of paying for old maps! Either way, if you still don’t have this map pack and you’re interested, here’s your chance! All you have to do is leave a comment on this thread between now and 12:00 NOON EDT on Friday, April 9th. A comment will be chosen at random and then sent a code. If you leave your gamertag, I can easily send you the code over Xbox Live. If you do not leave a gamertag, I will only be able to contact you if you are a registered user of WinBreak.com. What – is – this?